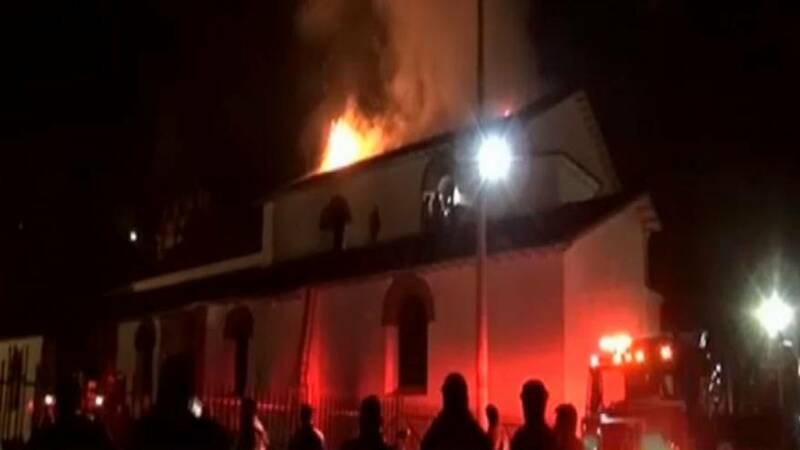 The historic San Sebastian church, in Cuzco, Peru has been gutted by fire. Dozens of works of art, including those by celebrated local artist Quispe Tito were destroyed in the flames. The 16th century church in the ancient capital of the Incas was one of the best-known in Peru and had recently been restored.